In Holographic Healing, Dr. George Gonzalez sets a new standard in the field of neurology. He demonstrates an essential understanding of the brain and nervous system that reaches far beyond that found in all of the courses I have taken and books I have read on the subject. The brilliance of Holographic Healing, the book, and Quantum Neurology, the methodology that inspired it, is that Dr. Gonzalez presents one of the most complex specialties of health care in a more interesting, practical and engaging way than anyone before him has ever done. He breaks new ground introducing new concepts of healing and how we as doctors can facilitate it, through strengthening the nervous system. Dr. Gonzalez explains and describes the very nature of healing as an exclusive function of neurology. Our ability to heal is dependent upon the strength of our nervous system. Anything that inhibits the nervous system likewise reduces our ability to heal. Beyond that he describes the brain and nervous system as a generator and conductor of light energy. He suggests that, as healers, an important part of our interaction with our patients involves the intersection of our energy fields or light bodies. Dr. Gonzalez also presents a unique explanation of the role of nutrition in supporting the vitality of the nervous system, especially as it relates to healing. His scathing expose of the evils and health destroying effects of genetically engineered, modified and irradiated foods will absolutely change how you eat and shop for food. The toxic burden of the noxious chemicals we consume in our food and water, breathe and absorb through our skin, compromises our health and inhibits the body’s ability to heal; and is a major factor in the epidemic of degenerative diseases that has become so prevalent in our modern world. 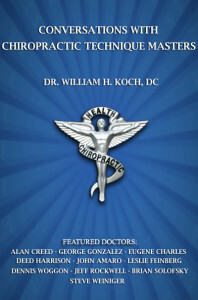 All health care providers, especially chiropractors, should read Holographic Healing. It will challenge you to think of the nervous system in a whole new way. I have been a successful chiropractor for 45 years, have studied and used multiple advanced techniques, and am accustomed to getting exceptional results for my patients. Yet in the two years that I have been using Dr. Gonzalez Quantum Neurology techniques in my practice my results have been really incredible. Quantum Neurology and the philosophy of Holographic Healing has changed the focus of my practice from structural to neurological. This shift in focus represents the very best in 21st Century healthcare.